It can take many years—even decades—to master the art of writing dialogue. Good screenplay dialogue can be as multi-faceted and complicated as the real-life human relationships and interactions that inspire stories to begin with. While we can’t possibly hope to cover every aspect of how to write dialogue in film here (it’s a topic that can fill an entire screenwriting school program let alone a blog post), we are going to tackle a couple of the biggest stumbling blocks with which new and experienced writers alike struggle. Ever feel like a character on-screen isn’t really talking to another character, but is instead lecturing you as an audience member? That’s what we call heavy exposition, and there’s nothing more amateur to a screenplay than a character who constantly describes everything that’s going on for the “benefit” of the audience. So how to write dialogue in film to get around this? What’s the best way of getting facts and tricky concepts across to the viewer? Having a character who is not aware of what’s going on (thus creating a plausible reason for another character to explain key plot points) can be a good way of delivering information to the audience, but this needs to be handled carefully. B)A heavy-handed approach can be a glaringly obvious ploy to the audience and might even bore them, especially for those who have already figured it all out for themselves. If you’d like a bit of homework that will reinforce this, re-watch Inception and count the number of times Ellen Page’s character has the “rules” of the dream worlds explained to her at great length. At numerous points, it borders on a lecture to viewers and grinds the pace of this otherwise great movie to a standstill. 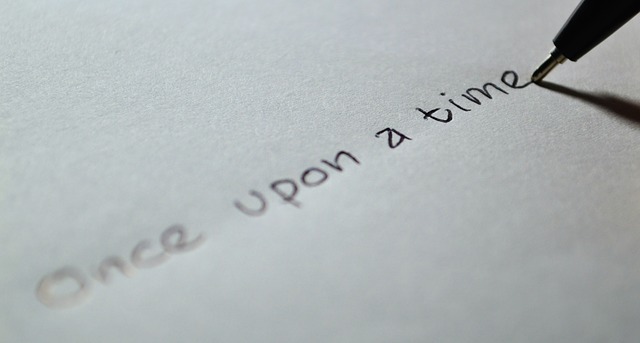 A far better approach—and a real golden rule in writing dialogue—is to show, not tell. In fact, it’s more of an anti-rule of dialogue, since you’re aiming to give the audience information without having a character overtly state it. 2) John Doe glances out of the window to see his wife has come home from work early. He hurriedly screws the top on a half-drunken vodka bottle, places it into a plastic bag, ties a knot in it, and hides it in the toilet tank. In both screenplays we get the same idea, but we aren’t forcibly beaten over the head with the information in the second scenario. If in doubt, a good rule of thumb is simply to assume that the audience is a lot more switched-on than you might give them credit for. In Medias Res translates as “in the middle of things,” and the literary technique is exactly that. Both openings cover the same details, except one takes place right in the middle—or moments after—the main action, whereas the other starts a few minutes before. Which one grabs your attention more? Don’t worry about wasting those precious few introductory minutes setting up every detail of the screenplay before you allow action to happen. A little mystery as to what’s going on can create insatiable intrigue and reel the audience in—you can always use flashbacks or other pacing techniques to deliver more exposition after you’ve got them hooked!